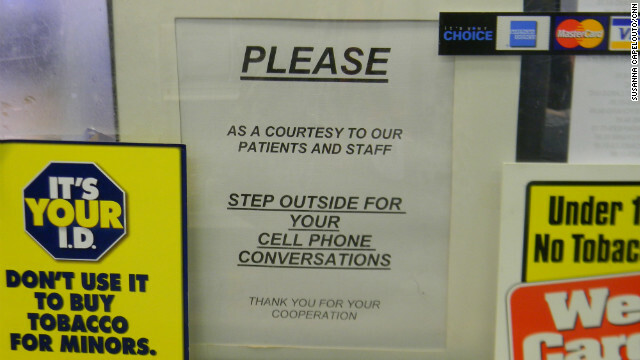 Customers consistently ignore this sign at a store in Atlanta and clerks are reluctant to enforce it. Editor's note: This story is part of the CNN series, "Our Mobile Society," about how smartphones and tablets have changed the way we live. Listen to the complete story in the audio player above. (CNN) – Have you ever wondered what the clerk behind the register really thinks when you talk on your cell phone while trying to pay? [:23] “I've had someone holding up the line because I kept trying to tell them what to do on the credit card prompt machine and they kept canceling their transaction. and we do it 3 times and the line keeps getting longer,” says Ya’Al who works at a pharmacy in Atlanta. She says when people prefer to talk on the phone rather than interact with her, it makes her feel ignored as a person. She’s tempted to say something, but customer service always trumps her feelings. Students at the Island School on Manhattan's Lower East Side go from being digital consumers to content creators at the middle school's tech café. 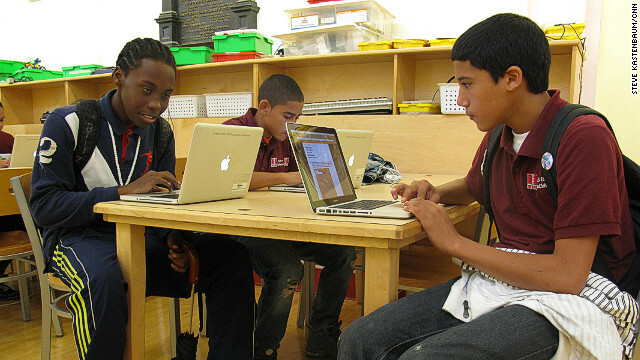 (CNN) – Middle school students at the tech café inside the Island School on New York’s Lower East Side have their laptops open. They’re working on their next blog posts about current social issues under the guidance of their teacher, Lou Lahana. The "Cine" above comes from Cinemagram user, TigerLily. (CNN) – Andre Charoo and Jason Titus have learned to succeed in the business of mobile applications. That's not an easy thing to do. The competition is fierce and the market is getting saturated. Charoo is Head of Partnerships with the new mobile picture app Cinemagram, meaning his job is to bring the brand to a larger audience. [1:44] "Literally, the joy that you get from basically making people happy with their phones is fascinating, it's exciting to be a part of and have such an impact. This is sort of the new way going forward as it relates to having a mobile audience." Judd Deere, 24, set up @MikeCrapo on Twitter and oversees social and new media for the Idaho senator. Editor's note: This story is part of the CNN series, "Our Mobile Society," about how smartphones and tablets have changed the way we live. (CNN) – As members of Congress fight for their jobs and face a near pitchfork-level of anger from voters, deep inside Capitol Hill offices, dozens of 20 and 30-somethings are trying to make things better from their keyboards. Judd Deere, 24, directs new media for Senator Mike Crapo (R-ID), a well-known conservative who started tweeting earlier this year. 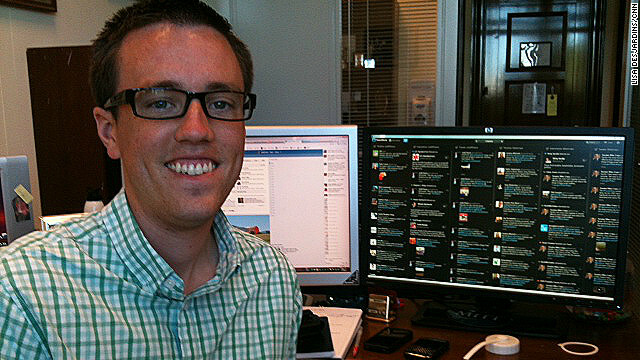 Deere was hired to help Crapo's office to get a larger presence in social media. Nonetheless, he encountered some resistance over whether the instant-reaction platforms would be good for the senator. The Big Bang Theory’s Melissa Rauch is new to Twitter. (CNN) – On the surface, celebrity and Twitter seem like natural partners. Sometimes though, the two just don’t mix. We talked Twitter with some celebs on the Red Carpet at Sunday’s Emmy Awards. [:10] “I don’t 'drunk tweet' because I think that that can get you into trouble,” said Melissa Rauch, who plays Bernadette on the hit TV comedy, "The Big Bang Theory."